Wow! So much has changed so quickly! I look back over the last 10 months and a part of me wonders where the time went and another part of me feels like it’s been forever. I know that doesn’t make sense, but the emotions you feel throughout deployment just sometimes don’t make any sense at all. It is a rollercoaster for sure. Anyway, here we are in our new house. So much still needs to be done, but most will wait until Luke gets here and we can work on making this house a home together. We will hang our pictures together and probably move things around. Our entertainment center won’t even get put together until he gets here. Haha! I’m so thankful for my family for helping us out. My grandparents painted our kids’ rooms and my parents and youngest brother moved all of our stuff. It’s been crazy! I didn’t realize how much stuff we had! But that’s enough talking about the move. We are here, we have Internet, and we are counting down the days until Daddy gets home! 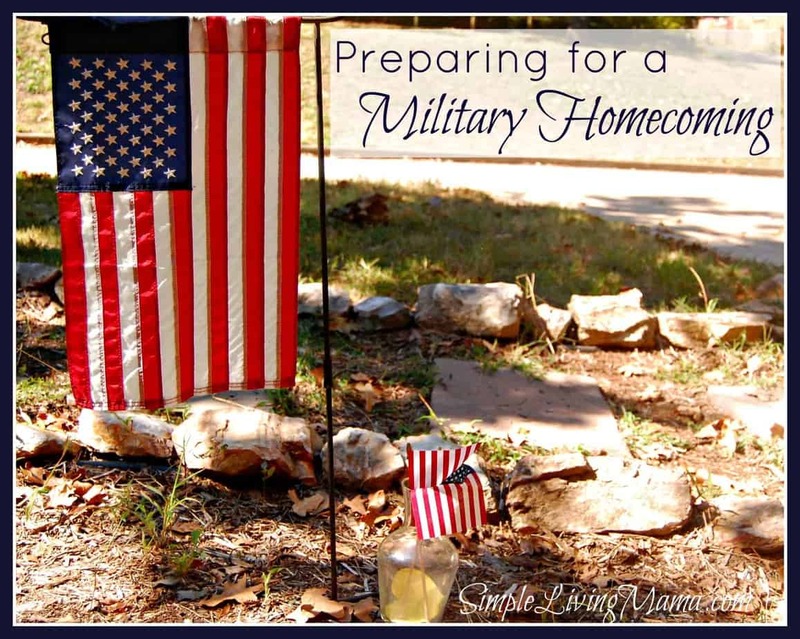 So, how am I preparing for a military homecoming? Um, probably not moving fast enough to get things together, but here’s my homecoming checklist! I ordered our homecoming banner from Build a Sign. It says it’s “free,” but you do have to pay shipping. Be sure to order yours at least 8 weeks in advance of your expected homecoming date or that shipping you pay will be higher. Don’t ask me how I know. I used Cafepress.com for my kids’ homecoming t-shirts. They have some really adorable sayings that I thought were just perfect. Bug picked his out all on his own and he could not be any more proud. I hate choosing clothes for special occasions. I always feel like I can’t get it right. I would love to wear a dress, but I may need to nurse Baby O, so that would not work. For now I’ve picked out a nice top and jeans. I want to wear heels, but my mama instincts tell me that I will probably regret that decisions. Am I the only mama who can’t chase a toddler while wearing heels? Should I just wear them anyway? I think I will probably go against my better judgment here. I don’t know how long we will be standing around waiting. It will probably be a while. That anticipation is going to kill me! Oh, well. Maybe I’ll bring a back up pair of flip-flops! I am making a shopping list of all of my husband’s favorite foods and beverages so I can make sure the fridge is well-stocked when he gets home. I will go shopping for these things the day before so there is less temptation for the little ones to get into Daddy’s stuff! The kids really want to get Daddy a red velvet welcome home cake, so we will be sure to have cake ready for him when he walks through our door! The mini-bus (as my kids call it) will be decorated for Daddy. I think I will write on the back glass, “Get Out of Our Way! Our Daddy Comes Home Today!” The side back windows will probably say “Welcome Home” and then his name! I’m so excited to decorate things! Okay, the house won’t be perfect because not everything will be in it’s place because of the move, but it will at least be clean! I bought some mini American flags a few months back and Bug has insisted they be Daddy’s coming home flags. He wants to put them in a vase on our kitchen table, so that is where they will go. I’m fairly certain we will get more at the homecoming ceremony. Gotta make sure the camera is charged and ready to capture these memories. The end of this deployment marks the beginning of a new chapter in our lives. This last chapter has been really hard on me, so I’m thrilled to finally have my husband home again. I can’t wait to see him and have him home so I can kiss him anytime that I want! 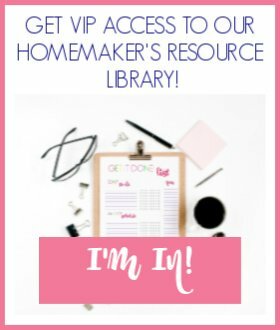 What are some things I may be missing to prepare for his military homecoming? 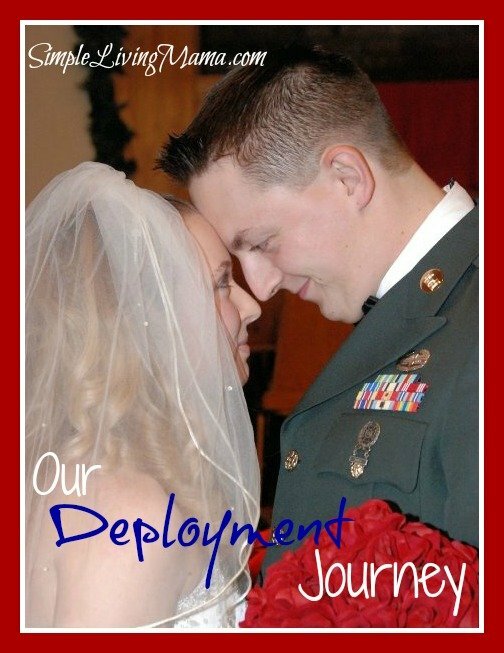 This post is part of my Our Deployment Journey series. Check out more posts here. Thanks for sharing this advice! 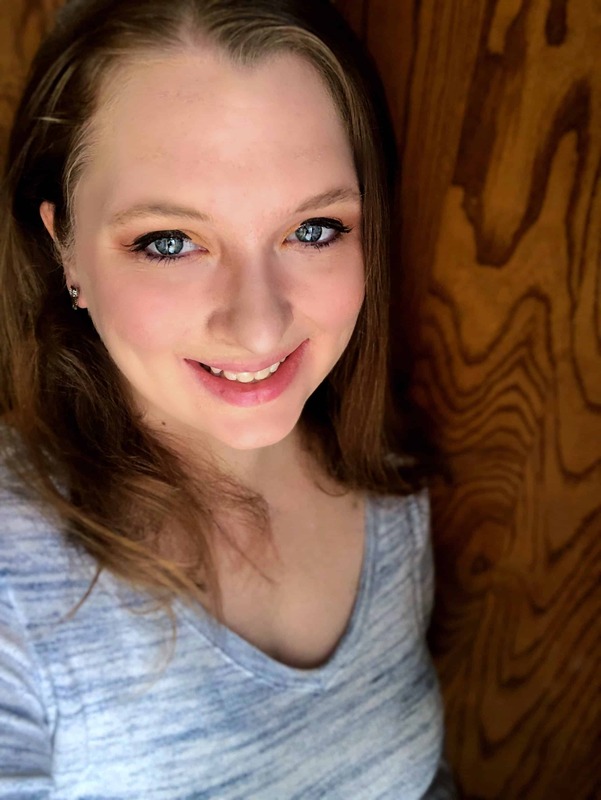 My son will be coming home from his latest tour, and I want to make sure this homecoming will be the best yet. I’ve been thinking it might be nice to also invite a bunch of people and have a big party for him. Do you have any tips when it comes to planning a big party? Hi Delores! Yay for your son coming home! I love homecomings. When it comes to planning a big party, I would take your son’s personality into account first. I know everyone is different. My husband would not have been comfortable coming home to a lot of people. All he wanted to do was come home and relax. If you think your son may want to process a bit, you can put the party off for a while. If he loves parties and being around a lot of people, then by all means do it! Serve his favorite foods and invite his favorite people. I’m sure he will just be glad to be home!